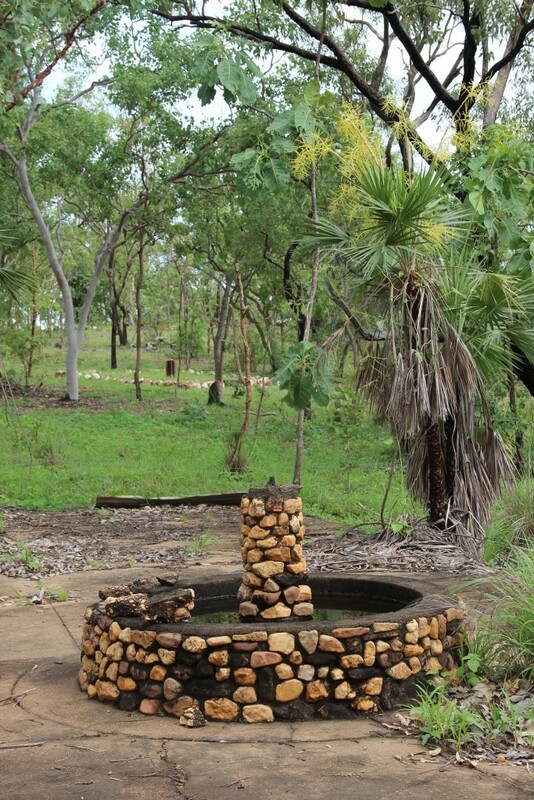 This 'Heritage Listed' site is historically significant to WWII happenings in the Top End. Enjoy a relaxed guided tour with commentary, hear the stories of the rescue and repair of crashed aircraft carried out by the former Second World War Repair and Service Unit (RSU) Camp at Pell Mell. The tour is part driving with short walking diversions to various infrastructure and to view collected artefacts from the site. 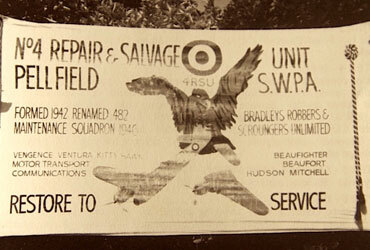 It begins at the front gate where the taxiway from Pell Airstrip was used to bring aircraft within the camp and place them along various revetments. Morning / Afternoon tea is included and at this time tour participants will have the opportunity to appreciate the additional memorabilia on display. Situated 100km south of Darwin on the Stuart Highway, the tour site is well positioned to also include a visit to Litchfield Park, Daly River, Batchelor (Rum Jungle) and Adelaide River. All tours depart from the Front Gate of Pell Mell adjacent to the Pell Airstrip which is 10 km north of Adelaide River. Allow 2.5 to 3 hours for the completion of the tour at Pell Mell. 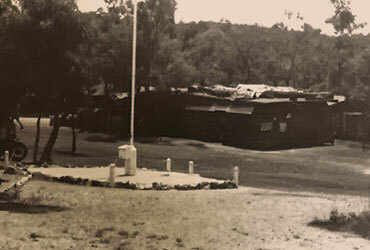 Adelaide River is well known for its World War II sites such as the Adelaide River War Cemetery, the Railway History Museum, and the established Batchelor Museum. Request your chosen tour date on our Booking Form or email or phone to make a booking at least 48 hours prior to the tour date required. Our 'Historical Tour' provides in depth insights into the operation and happenings of the 'Restore and Service Unit' (4RSU) stationed at Pell Mell. The tour is enhanced by recounting stories from the actual happenings within the unit. This is enabled by reference to Walter Venn’s book, "Restore to Service”. 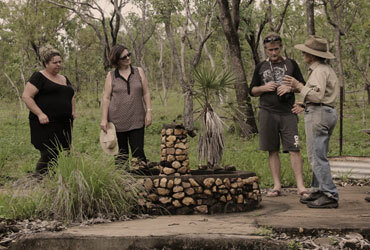 Walter was with the unit for the whole of its time in the NT and return south, and visited Pell in 2000. You will visit various sites pictured in the book and be able to relate easily to the circumstances of the men who lived here.